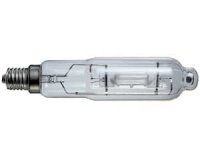 600W metal halide lamp, blue spectrum. Ideal for vegetative growth. This item is the lamp only, a suitable ballast and reflector are required.